Get the benefits of running critical business and storage apps in a Private Cloud with Skyway West. BC and Alberta business can bypass the Internet and connect seamlessly to your preferred cloud platform over a private fiber optic Ethernet line, via Console Connect’s global high-speed network. 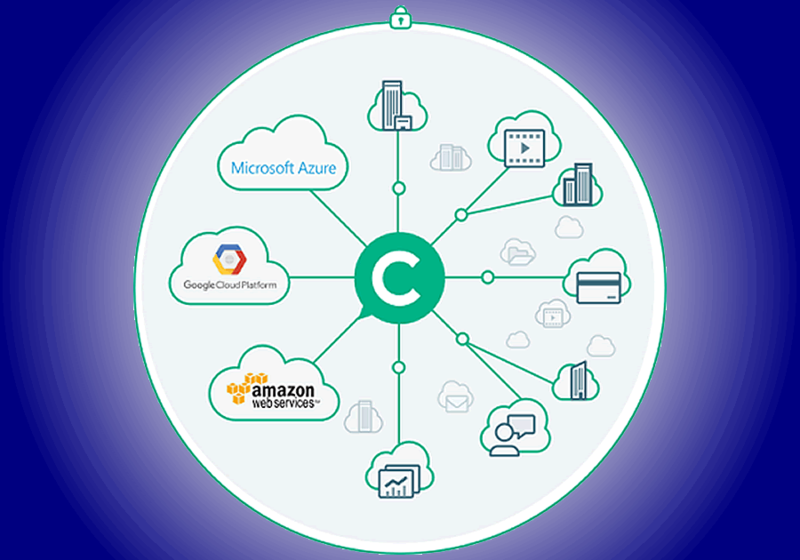 Console Connect offers direct connectivity into the biggest SaaS and cloud ecosystem in the world, such as: Amazon Web Services, Microsoft Azure, and the Google Cloud Platform. As an official AWS Technology and Direct Connect Partner, Mircosoft Azure Partner, and a Google Cloud Platform Interconnect Service Provider (GCI), Console Connect is trusted by leading enterprise customers from around the world, to provide them with robust, private Ethernet connectivity directly into business-critical SaaS applications and cloud platforms. By its nature, the internet is a shared common network resource and as such, there is a high probability of usability issues, performance degradation, instability and network interruption, often over long, unpredictable periods of time. While some businesses can tolerate this instability, many can’t rely on critical traffic passing through this unwieldy network. For these businesses, the Private Cloud provides predictable, dedicated and direct connections, effectively creating internet-bypassing connectivity for business-critical applications, partners and customers. Direct connections reduce exposure to attack and make the directly connected traffic immune to side effects of Internet Denial of Service (DDOS) attacks. Contact me and find out more about how Skyway West’s partnership with Console Connect lets you bypass the public Internet to achieve secure, fast and reliable access to all your cloud-based applications and stored data. Chris Miles is a Cloud Consultant with a Skyway West, a Western Canadian ISP that delivers Internet Access, Unified Communications and a Software Defined Network service to BC and Alberta business. Chris can be reached anytime at cmiles@SkywayWest.com or 604-484-5257. Previous Previous post: Is a Virtual Private Cloud the better choice than Public or Private Cloud?